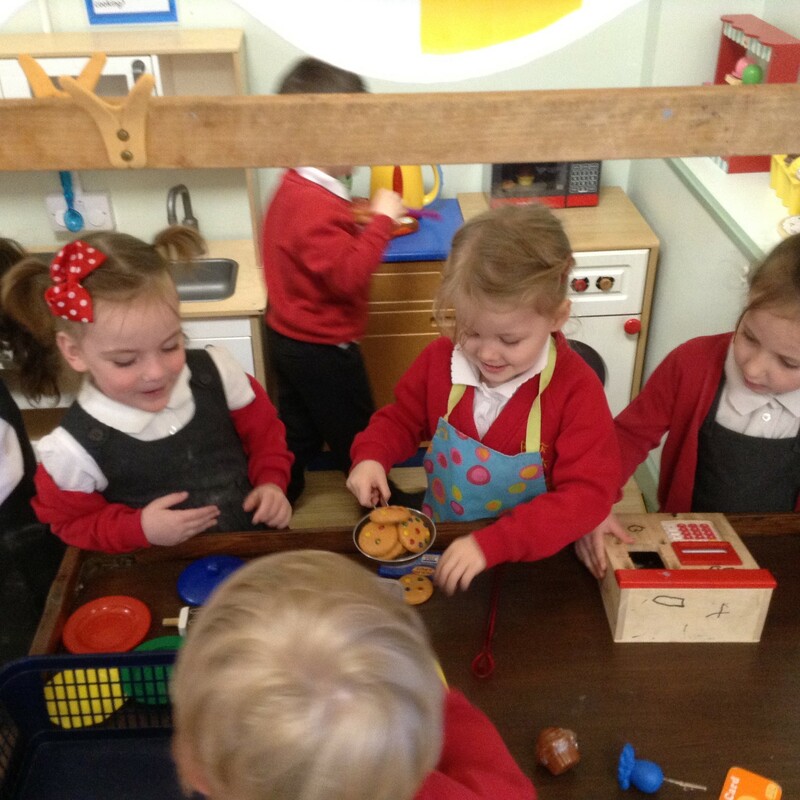 Welcome to our Nursery page. Here you will find important information about our Class routines, curriculum and general information. We will also keep you updated about the amazing activities we have been getting up to at school. Please scroll down to keep up to date with our class blog. Please click the link bellow to see all about our Royal Wedding. We have been reading stories linked to the Sea and the Seaside: The Jolly Olly Octopus, Commotion in the Ocean, The smallest fish in School etc. Children have been putting correct amount of tentacles on the octopus, legs on the turtle and nippers on the crabs. New enhancements include making our own fishing rods and digging for buried treasure numbers and words. The weather is improving and the outdoor sand area is open for sandcastle building, or digging for buried treasure. 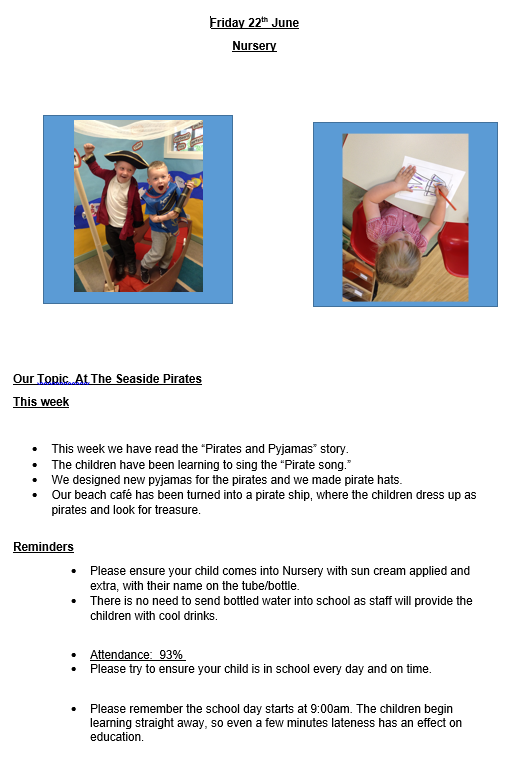 Please ensure your child comes into Nursery with sun cream applied and extra, with their name on the tube/bottle. There is no need to send bottled water into school as staff will provide the children with cool drinks. Please try to ensure your child is in school every day and on time. Please remember the school day starts at 9:00am. The children begin learning straight away, so even a few minutes lateness has an effect on education. 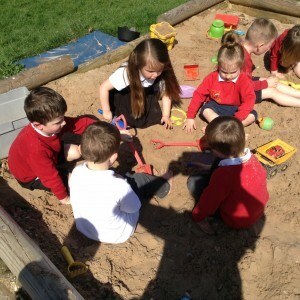 We have been reading stories linked to the Sea and the Seaside: Commotion in the Ocean, The smallest fish in School etc. Children have been exploring the features of non-fiction texts and researching facts about sea creatures. In Mathematics the children have observed patterns of various fish and recreated their own patterned fish. New enhancements include our refurbished Seaside Café. Do come in for a lovely cup of tea, or ice cream at very reasonable prices. Our young members of staff will always welcome you with a friendly smile and a comfortable seat at the table.